Federico’s Supper Club is one of Vancouver’s best Italian restaurants, it offers a combination of authentic Italian cuisine in a nostalgic atmosphere complete with live music and dancing. Guests are treated to fresh, simple ingredients and dishes that reflect old world Italy with a contemporary twist. 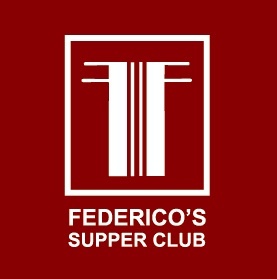 If you are seeking a culinary adventure or celebrating a special occasion, Federico’s Supper Club is a truly unique experience. Join Executive Chef Romy Prasad as he shares his skills and passion for Italian cuisine Wednesday, September 28th during a special live cooking demonstration and dinner at Federico’s Supper Club on Vancouver’s iconic Commercial Drive. Sommelier Joe Borean will also be on hand to share knowledge and insight on the perfect wines to pair with the delectable ingredients that Chef Prasad will work into a magical meal. Reservations are encouraged either by phone or online: www.federicossupperclub.com. Prices do not include gratuity or tax. CBC LIVE! is back in Vancouver!